It’s great to skate indoors at the coolest place in town, no matter what the weather is like outdoors! 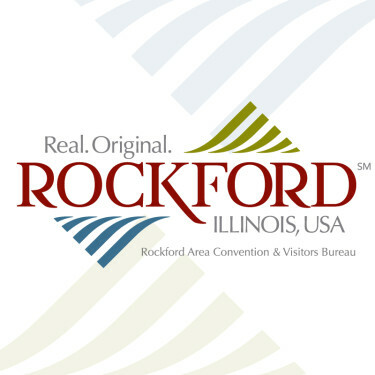 Gather family or friends for some Friday night fun and healthy exercise at Rockford Park District's Carlson Ice Arena. Admission is $5.00 per person (all ages) including skate rental; no discount coupons accepted. The sessions will also include DJ music and meal deals. Enjoy indoor ice skating with family or friends while gaining the benefits of fun recreation and exercise. A special discounted Family Fun Day package will be offered for weekend public skating sessions. The $10 per person Skate and Meal Deal package includes public skate admission, skate rental, and a meal. The meal includes choice of either a hot dog and chips, a personal pan pizza (one topping), or a pretzel and popcorn, plus a medium fountain drink. This offer reflects a savings of up to $6.50 off regular prices; no discount coupons will be accepted. Carlson Ice Arena and Sapora Playworld - 4150 N. Perryville Rd., Loves Park, IL 61111 - From I-90, take Riverside Blvd exit. Travel west to Perryville Rd. Turn right (north) on Perryville Rd. to Carlson Ice Arena and Sapora Playworld entrance.